Clay and concrete tile roofs may be installed on solid sheathing or spaced sheathing boards on roofs pitched 2.5/12 or greater. 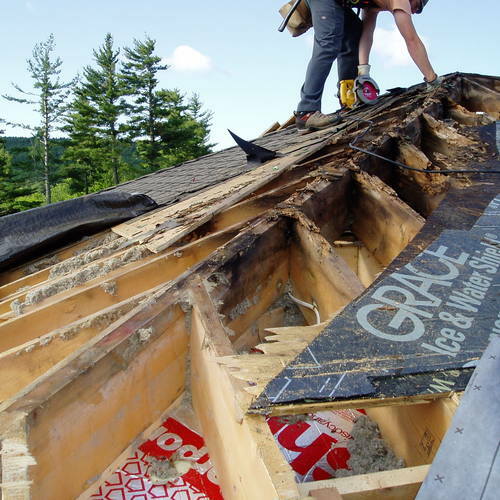 Roofs with a pitch of less than 4/12 require double-coverage underlayment (905.3.3.1); roofs pitched at 4/12 and greater require one layer (905.3.3.2). Tile-attachment methods vary with climatic conditions, roof slope, underlayment system, and tile type. Consult IRC Section 905.3.7 and Table 905.3.7 for guidance on proper attachment methods. 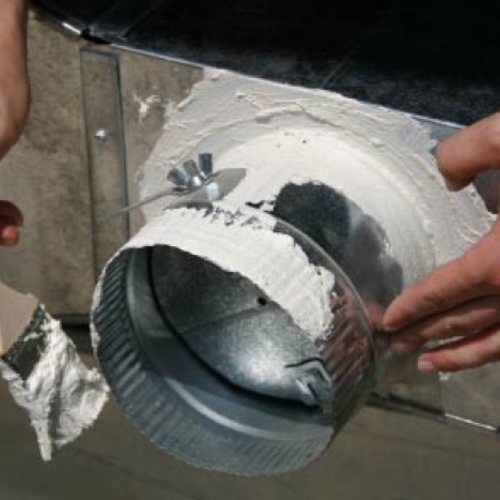 Flashing and counterflashing should be provided at walls and vertical penetrations. 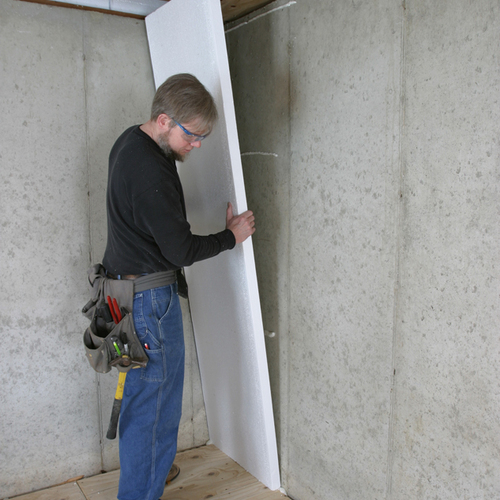 Valley flashing must be at least 26-gauge “W” profile, G90 galvanized sheet and extend 11 inches in both directions from the valley’s centerline (905.3.8). Slate is covered in Section 905.6 of the 2006 IRC. Slate must be installed with two nails on solid sheathed roofs of at least 4/12 pitch (905.6.2), with an ASTM D 226, Type 1 underlayment (905.6.3) underneath. Roof areas with a history of ice damming must have two layers of underlayment cemented together or a self-adhering, bituminous membrane extending from the roof edge to 24 inches beyond the building’s exterior wall line. Head lap requirements vary with roof pitch and can be found in Table 905.6.5. The minimum standard for valley flashing is 15-inch, G90 galvanized steel of .0179-inch thickness (905.6.6). Asphalt shingles (Section 905) must be installed on solid sheathed roofs of at least 2/12 pitch with 12-gauge roofing nails long enough to go through the shingle and penetrate the roof deck 3/4 of an inch. Roofs under 4/12 pitch require two layers of underlayment; roofs 4/12 and steeper require one layer. 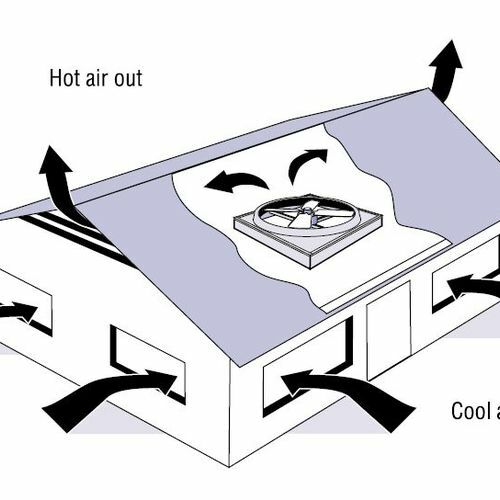 Roof areas with a history of ice damming must have two layers of underlayment cemented together or a self-adhering, bituminous membrane extending from the roof edge to 24 inches beyond the building’s exterior wall line. I am studying about construction own home with a strategic modern system, I need to know how install a green roof. I do not have experience about this work. I will be thanks your orientation. Green roofs (living or vegetated roofs) are complicated; the topic is not easily addressed in a paragraph. 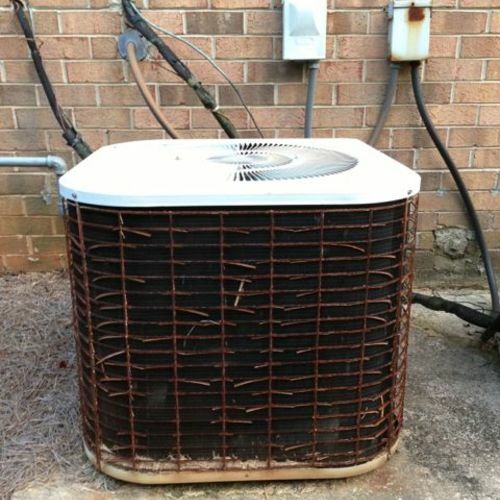 If you intend to do your own installation, you'll need to study up on the subject and buy specialized materials. For a start, you may be interested in visiting http://www.greenroofs.com. Are there any available statistics regarding the percentages of residential consumers who are interested in green roofing products? It would be interesting to know whether to allocate marketing resources to this segment, or whether better ROI can be achieved elsewhere. Any response would be appreciated.